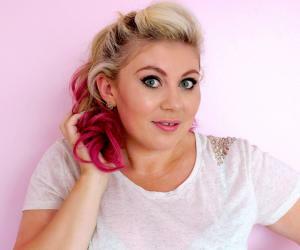 Louise Pentland is an English YouTuber and social media personality. Let’s take a look at her family, personal life, boyfriends, net worth, age, birthday, and some fun facts. The name Louise Pentland may not ring a bell immediately when you hear it, but if you are a regular in YouTube and is a fashion and makeup enthusiast, chances are you have come across her super successful channel Sprinkle of Glitter. Her channel has over 2.5 million subscribers with number of views in the billions. Her accounts in other social media platforms are just as sought after as her YouTube account. Both her Instagram and Twitter currently have followers in the range of 2 million and over. She has been a fashion and beauty blogge for quite some time and recently she has transitioned into the role of author and fashion consultant. She is the poster girl of plus-sized women and has been the perfect advocate of women with different body type. She has casted herself perfectly into the various roles she has embraced and her channel have seen a totally bold makeover over the years which the viewers have embraced whole-heartedly. She has maintained her blog for quite some time and it has given plus-sized fashion addicts. She has ridden high on the peaks of success with multiple tie-ups with fashion ranges, makeup franchises and lifestyle brands apart from her earnings from YouTube. Her current net worth is somewhere in the neighborhood of 1.8 million and is all set to go up in near future. Louise sort of stumbled upon her successful career as a beauty blogger and vlogger. She worked in the corporate scene for some time, in various office roles. As a hobby, Louise started a blog about Do-it-Yourself interior decoration hacks and crafts. To keep up with the theme of the blog she named it Sprinkle of Glitter. Her blog gained popularity and soon become a go-to place for those glitter addicts. The success of her blog prompted Louise to move over to other social media platforms with better reach and she eventually branched out to start her YouTube channel in 2010. She kept the name of her blog for her channel as well. It was the same year that she got married to husband Matt Watson, and the DIY crafts were for a pre-wedding preparation regime.She began her videos with the trademark greeting ‘Aloha Sprinklerinos’ in her trademark warm and friendly tone that instantly connected with the viewers. In the Sprinkle of Glitter channel, she began with instructional videos for interior decorating and DIY stuff. She then moved on to fashion. Being pregnant at the time, Louise made a lot of vlogs about fashion and outfit choices for pregnant women. She paid special attention to her size category and her fashion advice mainly centered on fashion for plus sized women and especially plus sized pregnant women who often struggle to continue a fashionable existence during their pregnancy. Her earliest vlogs also detailed her pregnancy journey, what she did, what she ate and how she felt in general. She took to calling her unborn child as Baby Glitter and the audiences loved that introduction for her daughter Darcy. She portrayed to her viewers that pregnancy need not necessarily deter your fashion aspirations and she demonstrated that quite aptly by trying on different nail arts or trying on the latest trends in hair coloring. Being pregnant and a new mum did not deter her from taking on the world; she went to London to meet with her fans and even did a little tour of the theme parks. Her daughter, Darcy, featured in a lot of her earlier videos and viewers loved seeing her doing cute baby things. She featured in some baby outfit videos and cute baby accessorizing videos that Louise uploaded in her channel. In between baby videos, Louise uploaded videos of her makeup hauls and impromptu Outfit Of The Day (OOTD) videos. She kept it real most of the time and it was apparent that being a new mum does not leave much room in your life for stuff like fashion and makeup. She held on to her passion and kept on sharing her beauty, fashion and lifestyle tips. In the process she often collaborated with other YouTubers. 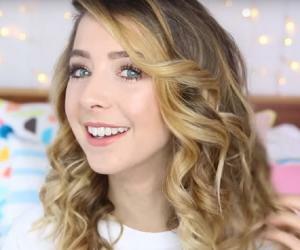 Zoe Sugg of the channel Zoella has been featured quite frequently in her channel and the two of them has created multiple videos together on makeup and fashion. 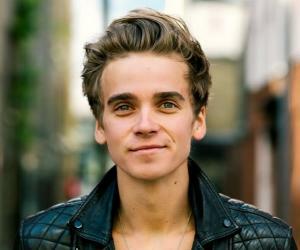 Among other youtubers Louise has collaborated with, there are Alfie Deyes, Tanya Burr, Dan Howell and Troye Sivan. In 2012, Louise created a second channel Sprinkle of Chatter, which has become sort of a personal vlog and lifestyle advice outlet for her. She continues to dole out advices on fashion and beauty on her main channel, but her second channel deals with more personal stuff like relationships. While the main channel has over 2.5 million subscriber till date, her second channel also risen to popularity and has amassed around 1.2 million subscribers. Louise has gone on to several tours around UK and the world promoting her channel and meeting with her fans. She has also been interviewed by several media outlets and she has stated her stand as a feminist quite vocally. In July, 2015, Louise published her first book titled ‘Life with a Sprinkle of Glitter’ with Simon & Schuster Publishing. The book is about little tips and tricks about living a better and more fulfilling life, created with Louise’s own life experiences. She followed this literary debut with another book in the same year titled ‘Sprinkle of Glitter 2016 Diary: Have the Best Year of Your Life!’, a sort of collection of her life stories and experiences. Her debut novel ‘Wilde Like Me: Your ultimate feel-good summer read!’ is set to be published in June, 2017 and will take her readers in a ride with a fictional character Robin Wilde. 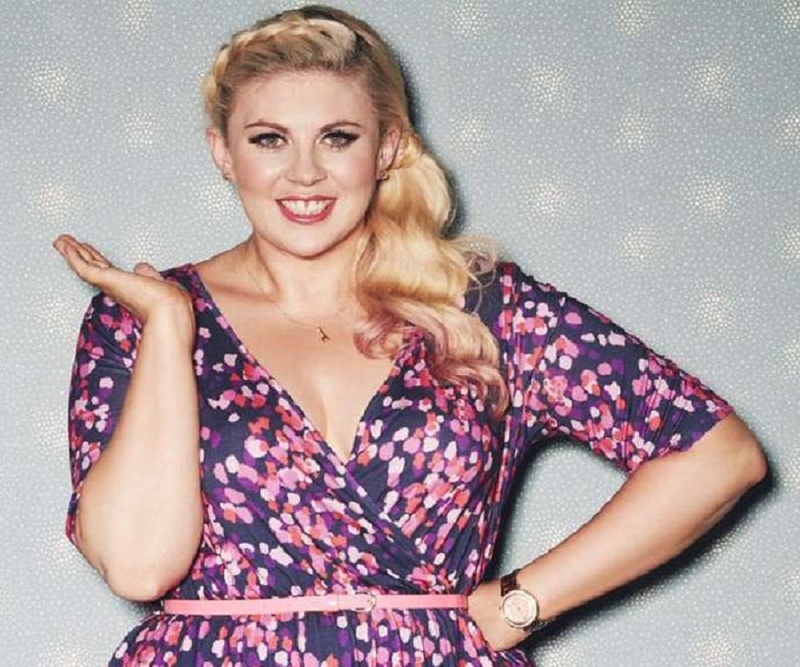 In 2016, Louise has collaborated with plus-size clothing brand SimplyBe and has successfully launched her own style of fashion in the e-commerce portal. Louise’s content in her channel is very upbeat and feel-good; just like she is as a person. She takes on life with all of its challenges and is just not ready to get put down. Louise is an inspiration to millions of women around the world in embracing their plus-sized bodies and in instilling the belief that just because you are curvy you need to give fashion and beauty a miss. She is never afraid to be real to her viewers and have shared her darkest time and happiest moments with them. Louise has had a tough childhood since her mother passed away when she was just 7 years old. Her step-mother never treated her well but she was especially close to her dad. She was also the victim of bullying in her High School and due to the fact she has used her platform to raise voice against it. She married Matt Watson, a school teacher, in 2010, and gave birth to daughter, Darcy Jane Watson in 2011. The couple split in 2014 and she is currently a single mother and lives in Northhampton with daughter Darcy and her pet cat. 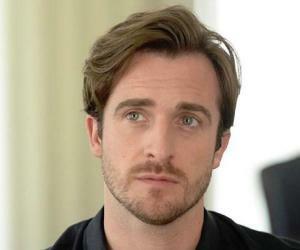 Louise and Matt have remained on good terms with each other since the divorce. Since her divorce she announced in her channel that she was dating someone new but did not provide his details. In a subsequent video a few months later she admitted that the two of them have broken up. In October 2016, she announced in her channel that she has started a relationship with a 40-years old man named Liam and since there has not been any more videos announcing a split, it is to be believed that all is good between them. In September 2016, she has decided to do a total overhaul of the content of her channel and blog. She announced that she will from then on concentrate on more adult stuff than rather teensy, glittery theme that she has held onto for so long. Her recent videos reflect her mood and have been centered more on adult topics.